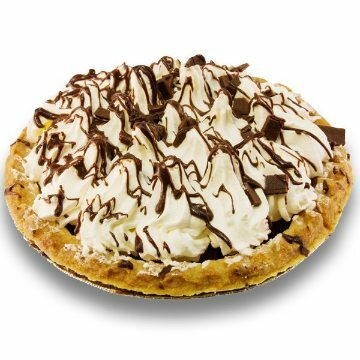 Our exquisite Chocolate Cream Pie is completely irresistible. To create the silky smooth filling, we gently fold together fresh buttermilk and the finest quality semi-sweet chocolate and then pour it into our signature buttery crust. Topped with peaks of our homemade whipped cream and garnished with chocolate shavings, this delicious dessert works perfectly either as a gift or for entertaining guests! * 8 Inch Serves 10 to 14 people.